I must admit that my immediate family only made Gumbo with a ton of meat in it. Matter of fact, that's how everyone I ever personally knew made it lol! Well, since my husband and I have embarked on this very little meat lifestyle change, I decided to try this Gumbo Z'Herbes. I first heard about this type of Gumbo several months ago when I was watching a Leah Chase interview. 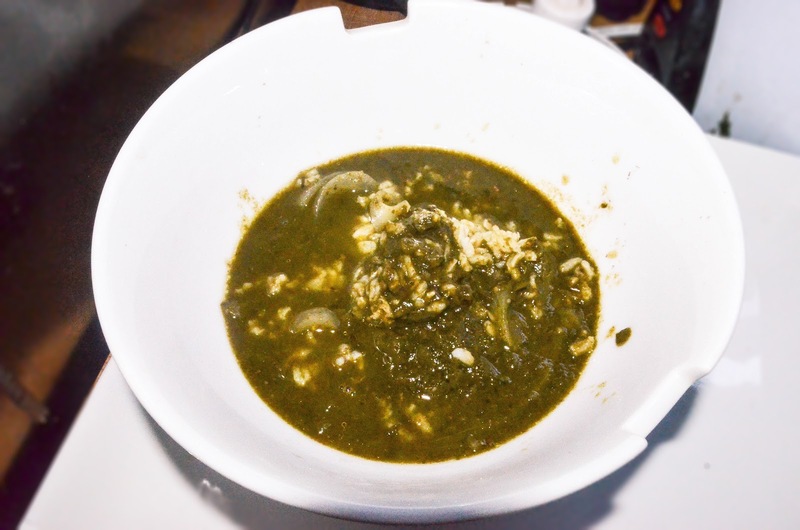 I became intrigued that you could make a gumbo mostly out of green veggies. Boil turkey necks with 2 cups of yellow onions, until meat is extremely tender. Put all greens in a large, deep pot and add enough water to cover. Add cayenne, black pepper, bay leaves, thyme, and Creole seasonings. Boil until greens are tender. Drain and reserve cooking liquid. Once greens are well drained, chop them up in blender. Next, make roux with the oil and flour. When roux is a warm brown color, add a cup of yellow onions and garlic, and cook until onions are soft. This takes about 4 minutes. Add a few pieces of the boil turkey necks for a few more minutes. 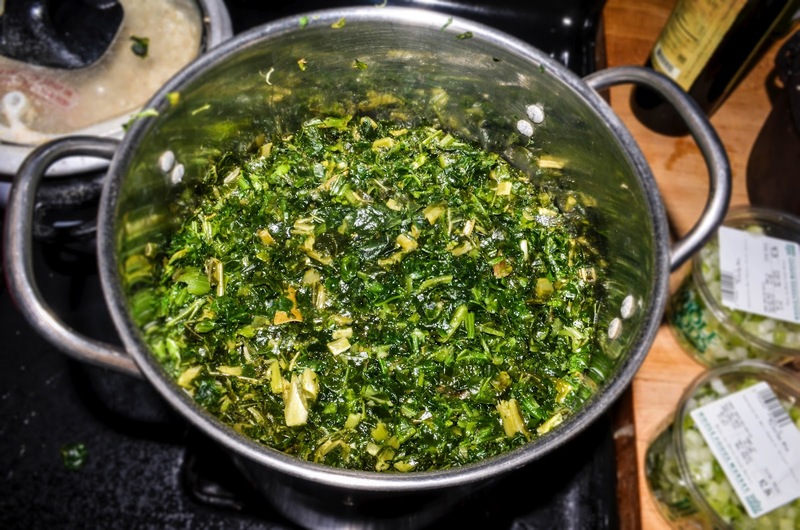 Combine roux mixture with the cooking liquid from the greens in a large pot, cook on a medium heat. Add green onions and cook for 30 minutes. Add all of the greens, the rest of turkey necks(juice included), white vinegar and continue to simmer for 2 hours. SO RICH IT WILL MAKE YOU WANT TO SLAP YA MOMMA! I can use the collards in my garden. Question: I'm not going to make as much, do you think I can put 1/2 the roux mixture in the greens. I'm going with 1/2 pound of green, 1 pound of spinach and 1 pound of kale. Yes using 1/2 roux should be fine. Just make sure you season it to your personal taste. Let me know how it turns out! Do you have instructions on how to do the roux? I think I want to do this for Thanksgiving.